It can be hard to come up with new meals for during the week. Work can run late, and how many evenings do you get the chance to make a simply delicious meal and enjoy it? 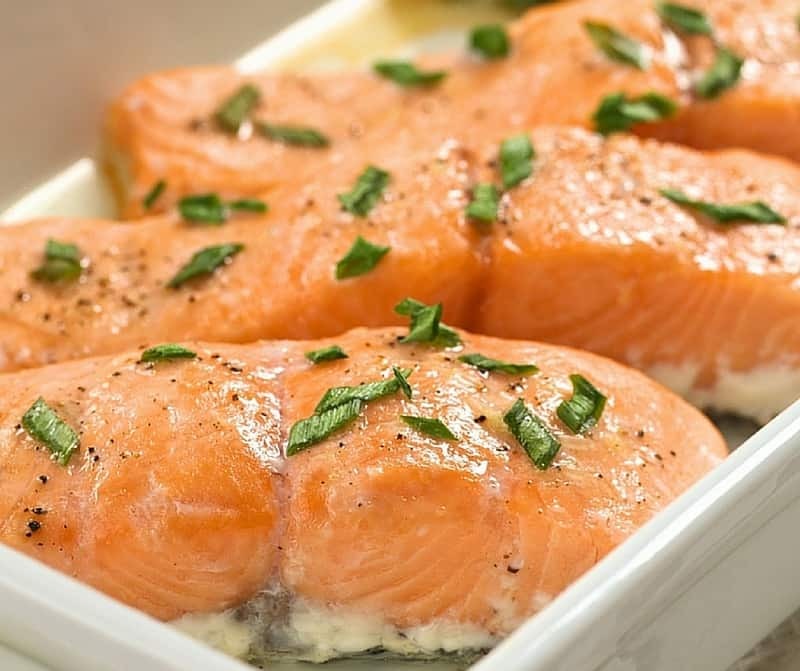 I have a solution for you baked salmon, this salmon recipe has four simple ingredients, and it will make you a hero for dinner. I don’t know why I didn’t post this recipe sooner. 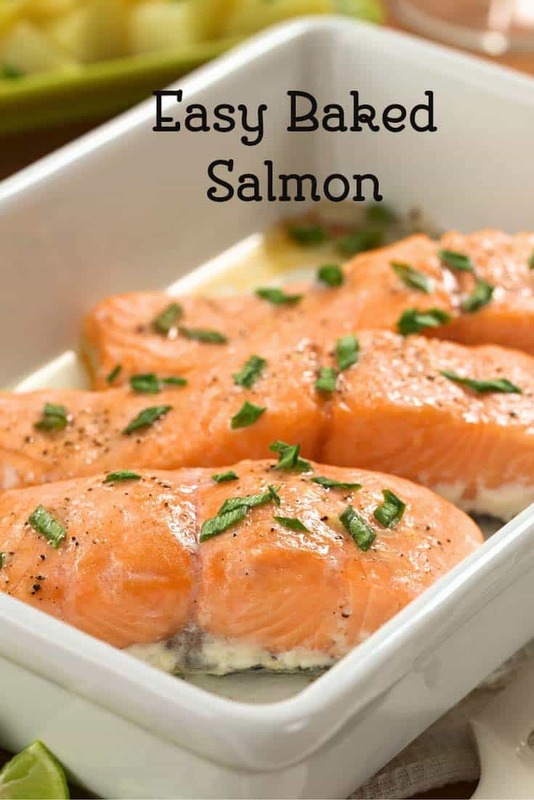 It is one of my go-to recipes for salmon. I have made this recipe for a little more than ten years. I love to shop at Costco. They sell frozen salmon in individual packages, and this is perfect for dinner. Now, I do buy fresh salmon at the store too, but I love being back to bank a few tasty meals in the freezer. No one wants to have literally nothing in their pantry. This baked salmon has four ingredients. Salmon, brown sugar, soy sauce, and olive oil is all it takes to make a delicious meal. If you want to get fancy, you can add a little lemon juice, and some fleur de sel. I am almost ashamed to tell how you to make this easy dish. You simply mix up equal parts of soy sauce, brown sugar, and olive oil and pour this over the salmon. Then you bake the salmon for about 15 minutes or so depending upon the size of your fish, and that’s it. For me, this can get served with some fresh vegetables such as asparagus, or even simple roasted red potatoes. I love dinners like this; I can pop them into the oven, and get a few more things done while it is cooking. This way the food and I are ready to sit down and enjoy our time spent together. If I am using the fish I buy from Costco; I will take the frozen pieces and put them in the refrigerator when I leave for work in the morning. This way it will be defrosted so I can cook it at home. Cooking during the week doesn’t have to be boring, and you don’t have to cook only chicken, there are other alternatives. I hope you enjoy one of my favorite baked salmon recipes. This salmon is a super easy dinner to make. Preheat oven to 350 degrees. Place salmon skin side down in a baking dish. In a small bowl combine brown sugar, soy sauce, and olive oil. Whisk marinade together until the sugar dissolves. Pour over salmon. Bake for about 15 to 20 minutes or until fish easily flakes when a fork is pressed into the flesh.If desired serve with some fleur de sel and some lemon wedges. This was amazing! I made creamed spinach to go with….winning! Add a couple tbl of balsamic vinegar and minced garlic and it may take it up a notch for you. I tried it with 1/4 cup of olive oil and 1/4 cup of sesame oil. Love your stuff, Steph. I could totally go for what you do there. I think I would try that instead of this version 😉 I bet the sesame oil is amazing stuff. If you like the Asian twist, you will love this. 18-19 min on my Weber, grilling with indirect heat covered, with the vents wide open. Just re-heat the remaining sauce and serve at the table.